Academic transcripts will be sent to the home institution of exchange students for credit transfer in mid-July and by the end of-January. Visiting students must request for an issuance of academic transcript at the Division of Educational Affairs of SNU. Regular Curriculum Majority of courses are taught in Korean but each college or department offers number of courses in English. List of courses for a new semester is available at the beginning of January or July each year. Undergraduate students can take courses up to 18 credits and graduate students can take up to 12 credits. 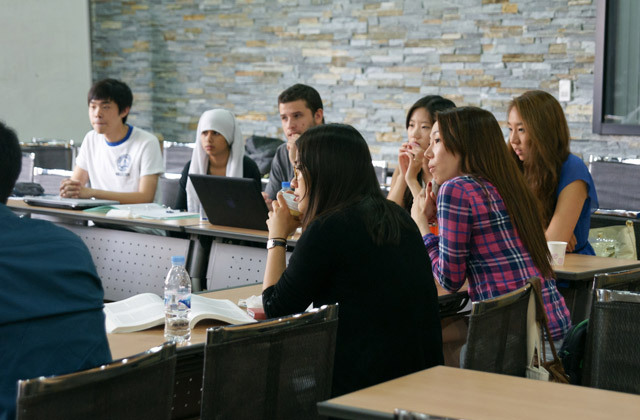 Korean Language Program SNU Language Education Institute (LEI) offers Korean Language Programs (KLP) on a fee-paying, extracurricular basis. 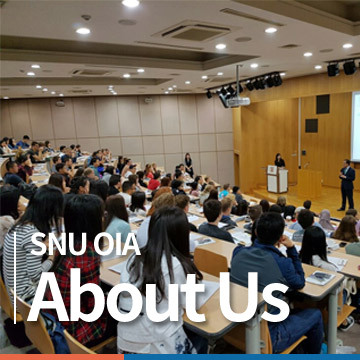 For exchange students taking KLP classes, however, SNU OIA will provide financial support to encourage international students to learn the Korean language and culture. Exchange students are eligible to apply for on-campus dormitory, but the placement is not guaranteed. A student visa (D-2) is required to study in Korea if a student is not of Korean nationality. SNU will provide the Certificate of Admission, one of the documents required for the D-2 visa application, to the students who are successfully admitted at SNU. Please contact your nearest Korean Embassy or consulate for more detailed information on the visa application process.